Ready to learn more about our programs and the guidance and support you’ll receive? 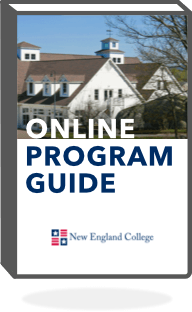 Get started by downloading our program guide now. 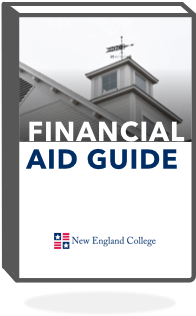 Discover what makes New England College different from any other school, and learn more about our program offerings, tuition and the advantages of online learning. There’s no question that Americans love their furry friends. Recent research says that there are 94.2 million cats and 89.7 million dogs in the United States. Pets with gills, scales or feathers are also popular. Why do people build such strong relationships with animals? That’s a question some sociologists are trying to answer. Sociologist Nickie Charles wrote in 2014 that pets are overlooked when researching groups and families. And yet, the relationship between humans and their pets are part of everyday life, according to the abstract. Charles found in her study that 88% of pet owners consider their animals to be part of the family, according to an article in Pacific Standard magazine. Which Came First: Dogs or Cats? Sociologists and other researchers are trying to learn at which point wild animals became domesticated. Cats held a special place in ancient Egyptian society. National Geographic says wealthy families dressed their cats in jewelry and had them mummified when they died. Bastet, the Egyptian goddess of protection, was associated with cats. People embrace pets because they provide companionship, affection, friendship and unconditional love. They also can encourage strong bonds among people. Alternative medicine proponent Andrew Weil explains the social benefits of pet ownership on his blog. Pet owners are less likely to feel lonely, may be more compatible with other humans and have more opportunities to interact with others. Pets can serve as a “social lubricant” in that they make it easy for people to get to know each other. A study in PLOS One found that pet owners were likely to get to know their neighbors. Their pets helped break the ice. Sociologists and other scientists have yet to determine conclusively why humans and pets make good companions. In an interview with the Washington Post, researcher Clive Wynne suggests that future experiments might involve brain scans of humans while they interact with dogs and cats. The social connections pets inspire may be good for people’s health, according to the Harvard Health Blog. A study found that people with strong social connections tend to live longer that those who don’t. The study also suggested that owning a pet encourages people to socialize. Lower blood pressure and heart problems – Dog owners need to walk their pets, which is a source of daily exercise. Lower stress – Spending time with a pet reduces levels of a hormone associated with stress, according to WebMD.